This rare natural Platinum Nugget is from Kondyer Massif, Khabarovskiy Kray, Russia. It is naturally layered with gold, which is a geological phenomenon. 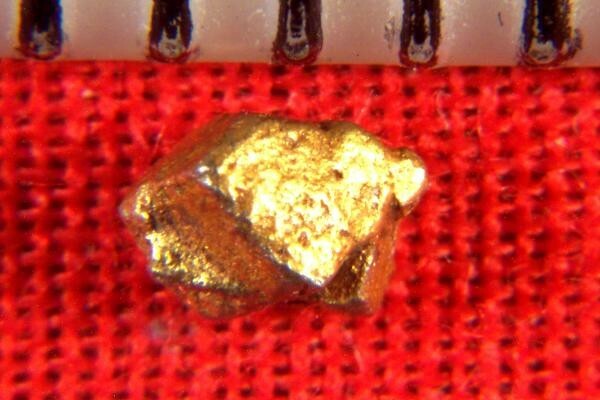 This beauty is almost totally coated with gold, something that you rarely ever see in nature. It has nice faceted sides and a multi-crystal structure. 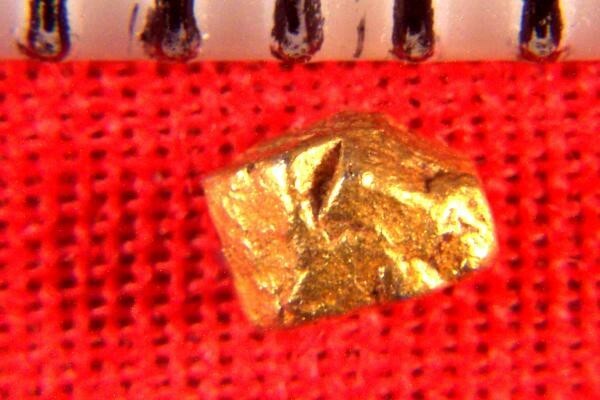 Eastern Siberia in Russia is the only place that these rare gold coated platinum crystals are found. 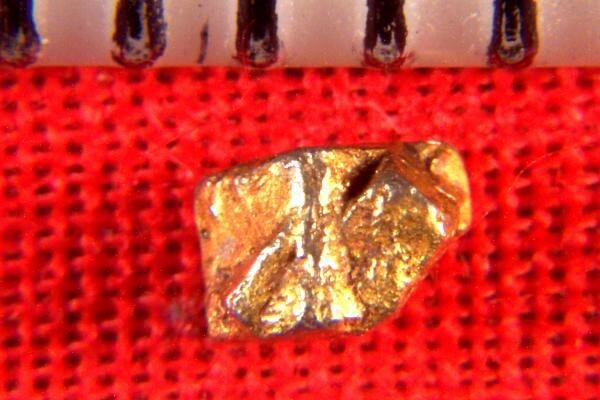 This affordable platinum specimen is 1/8" (4 mm) long, and weighs 3.3 Grains (0.22 Gram). It comes with a location card authenticating the discovery location and certifying the fact that it is a natural platinum crystal nugget.